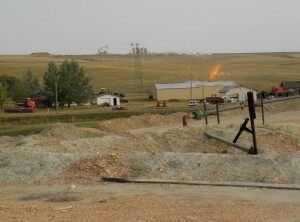 Photo courtesy: Northland Securities Inc.
Gas flaring in the Bakken has been making worldwide news. Everyone is concerned about it, from industry and mineral owners to environmental groups and politicians. The Ceres Group shows a map of the U.S. at night with the Bakken lit up like Minneapolis and New York, due to all of the flared gas. Those bright lights aren’t good in anyone’s opinion. To combat concerns about gas flaring, the State of North Dakota has embraced and established tough new regulations that the oil/gas industry must comply with by October 1st. Oil companies originally believed they could use their standard field-processing units to strip out the natural gas byproduct and use it for home heating. Then the realization came that liquid-rich gas was going to take unique processing. 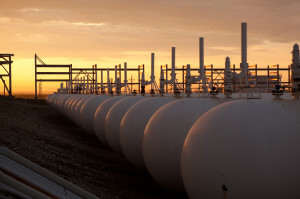 This resulted in a change in the approach to managing the gas and in the case of the state’s largest fractionating gas plant, it searched worldwide for technology to expand gas processing to the full capacity; but ultimately, had to design a new technology to handle this liquid-rich natural gas. He says big contributing factors in the lack of rapid infrastructure growth are the natural challenges. Winter are long, the ground freezes hard early, and the construction season is short, limiting the time new gas-processing facilities and pipelines can be constructed. Another dilemma: gas can’t be trucked; it has to be transported in a pipeline. One other contributing factor is the amount of production of oil/gas in the Williston Basin. “Last year on September 11, Governor Jack Dalrymple came to our meeting. He said that flaring rules need to change and industry could be part of the process or one would be developed by government agencies,” Ness relates. 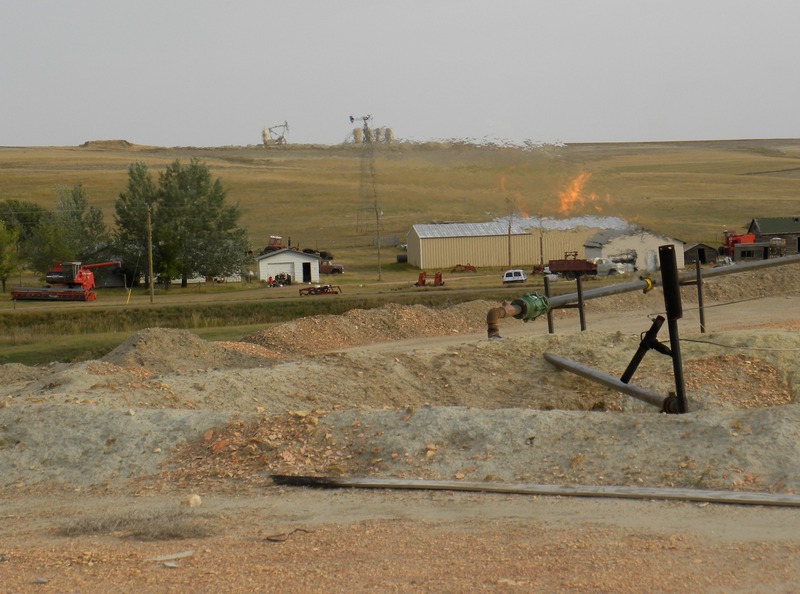 Thus the North Dakota Petroleum Council Flaring Task Force was formed and met over a four-month period, where members developed a workable plan to curb gas flaring and presented their findings to the North Dakota Industrial Commission (NDIC). 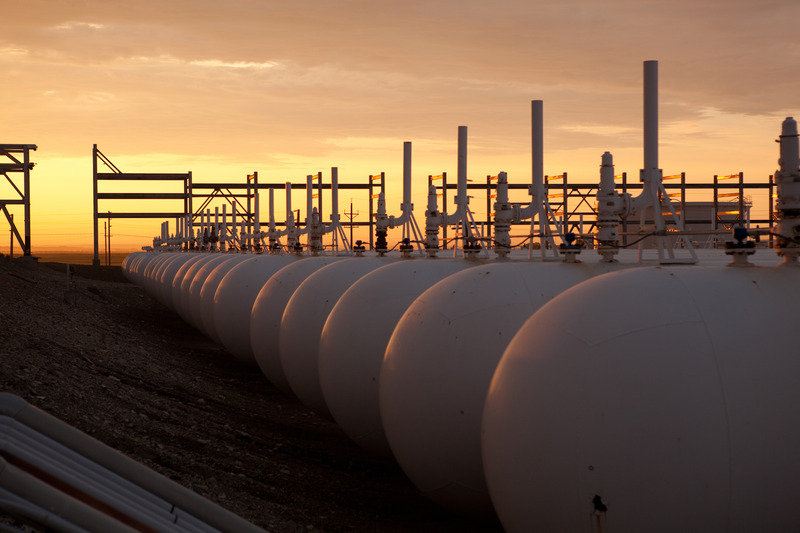 On July 1, 2014, the North Dakota Industrial Commission announced the new rules. The basics: a company needs to meet the new regulation standards for flaring or their production will be curtailed. “If we can get some value-added energy facilities built in North Dakota, they can benefit our farmers and citizens in the state and add diversity. 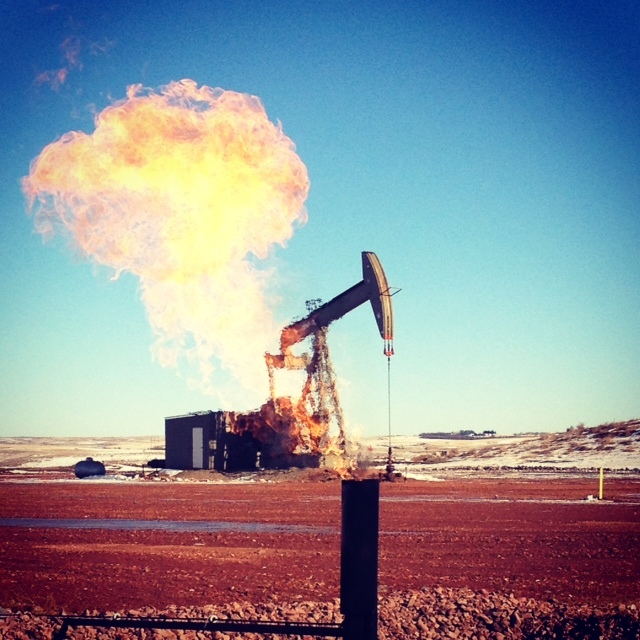 At the end of the day, I’m hoping all of this rhetoric about flaring in North Dakota proves that there was value to it in the end,” Ness states. 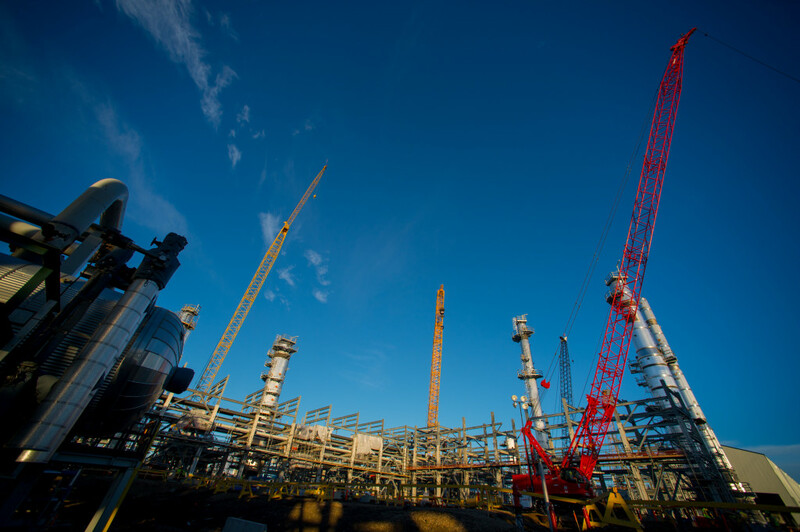 Hess’s Tioga Gas Plant expansion in Tioga, North Dakota. Photo courtesy: Hess. By complying with the new rule from the NDIC, 74 percent of gas will be captured by October 1, 2014; 77 percent by January 1, 2015, and 90 percent by October 1, 2020. The goal of the NDIC is to reduce the number of wells, the total volume being flared, and reduce the duration so they aren’t flaring as long. The commission will look at the results and see if that order should be modified or not. Justin Kringstad works directly with the industry to increase understanding of production levels, pipelines needed, and serve as an independent source of information for the industry and the public. He will be working with the industry to help them meet the new flaring reduction targets and help with new tools in order to ensure those targets are met. “This associated gas, as it’s called, has to be handled differently. There is tremendous value to capture it from an operator, owner and environmental perspective,” says Kringstad. “It’s in the best interest of the operator, mineral owner and environmental perspective to capture this resource and get it to market.” Kringstad lists three components to address challenges caused by the natural gas: gathering, processing and transmission. “We need to gather the natural gas from the well, then get it to the processing facility, and we need to expand our gas processing capabilities. We expect the amount of gas will continue to rise over the next 10 years, which means it’s crucial to put additional infrastructure in place for capturing gas,” explains Kringstad. He explains the real challenge is that oil and water can be moved by truck; natural gas has no other option but a pipeline to get gas from a well-site to a processing facility. Some companies are studying alternatives to compress or liquefy the gas until a pipeline can be constructed, but according to Kringstad, those models are only in the development phase. Two-thirds of the gas flared is from wells that have a pipeline connected to them, but it’s still not enough to handle the growing volume of gas. So companies not only need to build new pipe to new wells, but also enhance existing infrastructure in order to keep pace with new drilling techniques. Kringstad believes the industry is working hard to meet that goal of 90 to 95 percent of natural gas captured by the last quarter of 2020, and to meeting the benchmarks prior to that date. “Industry is working to make investments in pipelines and meet the targets set by the rule. Companies certainly don’t want to see a reduction in their well production. We expect natural gas production to continue to increase for many more years. The increase requires expanding existing pipeline and processing systems to keep pace with rapidly evolving production techniques,” concludes Kringstad.